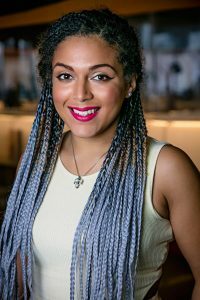 Heather Marks is an online content coordinator for Words of Colour Productions, a creative communications agency which develops and platforms writers of colour in the UK. She is a graduate of the MA in Black British Writing at Goldsmiths, University of London, and is currently working on a historical novel set in 18th century Bristol for YA readers. Today, Heather is a guest blogger for the SI Leeds Literary Prize and below she shares her top tips for creative writing. Put your phone away. Now. As in right now. Don’t check your notifications. Put your phone on silent (or switch it off) and put it out of sight. You cannot enter the necessary headspace to create if your phone is constantly alerting you to check your emails, texts and notifications. Writing is a discipline and if you’re breaking the imaginative bubble to check Twitter, you’re not going to grow as a writer. It’s easy to lose 20 minutes scrolling through the timeline so do yourself a favour and put your phone in a drawer or even in another room so that you can concentrate on creating. Depending on your work schedule, it may be difficult to find the extra time to give 20 minutes to your writing in the morning. However, this is a fruitful time when your mind hasn’t been sucked of all its juices by the slogs of the working day. If you can, schedule some time to write in the morning and return to these scribblings later in the day. Or if you simply cannot spare a moment in the morning, put aside a specific day of the week when you focus on writing. Give your writing a chance to flourish from an undistracted mind. Allow yourself to follow the tangents of your mind and write about anything. This will help you to break the ice with that blank page which can often be intimidating when we’ve put our minds to writing the next part of our story. This tip is especially useful when writing in the morning as we might not know where to start. Are you working on a novel? Write some flash fiction of 200 words. Are you stuck with your plot and don’t know how to solve it? Put your character in a completely different situation and see what they get up to. We can be hard on ourselves as writers when we’re struggling to create and this kind of writing isn’t burdened by the pressure of ‘the finished product’, giving you the freedom to enjoy writing again. I repeat: It. Does. Not. Have. To. Be. Good. As writers we torture ourselves with the comparison between an amazing book we just read to the half finished chapter we’ve been struggling to complete for the last four days. It’s important to remember that the finished product we read has gone through multiple redrafts and edits by the time its in our hands. We don’t know about the chapters that got scrapped or the scaffolding of red ink that helped make your favourite parts pop. Just write, write, write – don’t stop for edits – and let loose your ideas on the page. That sentence may be clunky, or that exposition far too long, but you are allowing the story that wants to happen flow from the confines of your mind into the real world. Edit afterwards and you’ll be pleased with how much you were able to produce today. Or go for a swim. Or do some window shopping. Do something that will take your mind off of your writing. There always comes a point when we reach a block in our creative writing. The idea just won’t form on the page. Instead of banging your head at it, take yourself away from your writing and do something else for a while. Putting yourself in a completely different situation allows you to step back from the problem and get some necessary distance. Your mind will still be working on it subconsciously and by the time you come back to your writing, you will have a refreshed perspective and maybe even the answer! There are many more things I could say about writing: use a prompt to get you going in the morning, sign up to a writing magazine, make notes on a book which has inspired you – all of these things will help you to develop your craft and become a better writer. Good luck!